Dedicated for two roommates with separate beds and a bathroom (shared). A kitchenette – may also include. Offered to one person with a single bed and bathroom. Klara Medical Center is a modern facility that offers comprehensive medical services, including more than twenty specialistic clinics, diagnostics, one-day surgery, rehabilitation and the Center for Prevention and Treatment of diet-related diseases. In our daily work we use the knowledge and experience of specialists. Accurate diagnosis and appropriate effective therapy in conjunction with diagnostics and medical equipment meet the highest world standards, allowing us to guarantee comprehensive care with respect to our Patients. In our daily work, we value safety, professionalism, commitment, kindness, responsibility for the health of others and we constantly strive for excellence that allows us to gain the trust of Patients. Klara Medical Center is the response to the needs expressed by the local community. We meet the expectations of Patients seeking access to doctors with narrow specialization, as well as those who are looking for innovative and hardly available treatments. We are one of the few centers in Poland, which offers experimental treatments of neurological and orthopedic disorders (multiple sclerosis, ALS, autism, diseases and injuries of the articular cartilage). As one of the few centers in Poland, we have our own NanoKnife IRE system for non-thermal ablation for the treatment of tumors located in close proximity to important anatomical structures, used for the treatment of cancers of the pancreas, prostate, liver and kidney. In January 2015, Klara Medical Center has opened the branch of Phage Therapy of the Institute of Immunology and Experimental Therapy of the Polish Academy of Sciences, treating inflammations of bone and soft tissue, refractory to conventional treatments. The values ​​which we adhere and goals we want to pursue, make the quality of the services performed by us meet the expectations of Patients who seek specialized and expert medical care. Our focus are people, therefore each Patient is treated individually– from the first registry visit to the specialist consultations until all requirements have been met with respect to health care. In order to meet any and all claims, Patients of Klara Medical Center are guaranteed a short waiting time to see a specialist. The quality of our services are created on the basis of cooperation with respected medical partners whose knowledge, experience, and the latest diagnostic equipment meets the highest standards of Patient expectations. 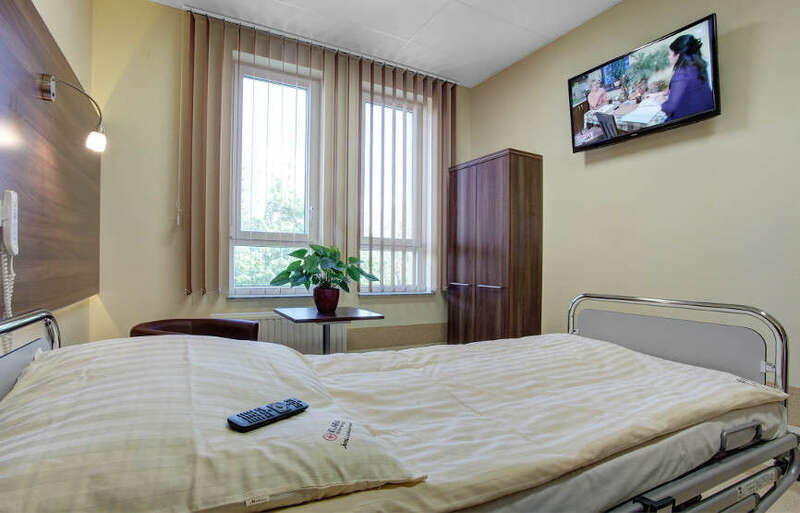 In our work we use certified quality management methods, which makes it the Patients benefit that our unit is based on the effectiveness and comprehensiveness of services. We are aware of the progress that medicine is making every day, so for the sake of health, comfort and safety of our Patients, we constantly strive for excellence.